At the close of the Global Climate Action Summit, Gov. 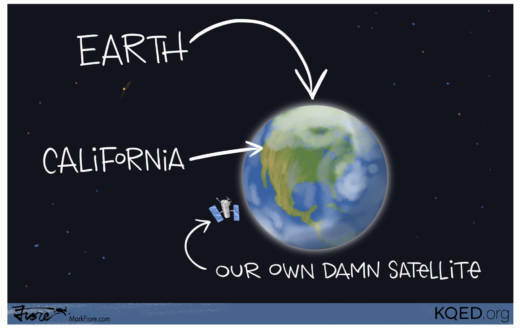 Jerry Brown said California is going to launch "our own damn satellite" to track pollution and help fight climate change. In a barn-burner of a speech at the American Geophysical Union conference in San Francisco in 2016, Brown used that exact same language. Brown ended this week's climate summit by saying, "never have so many people got together with such optimism, such fervor and such will."